Leon He has served in a variety of executive roles within Huawei over the course of his career. 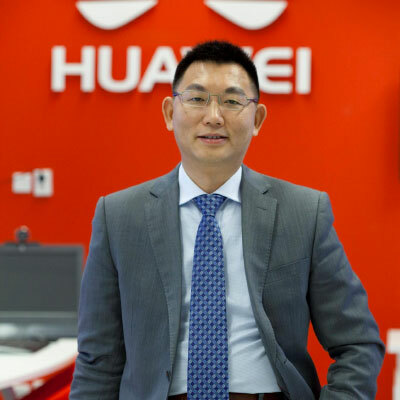 He has been appointed as the General Manager of Automotive Industry Solutions, Huawei Technologies CO., LTD. Leon had achieved successive significant breakthroughs and maintained sustainable profitable business growth with operators in Asia Pacific, Europe, and Latin America. He held numerous global positions prior to his current position. He was the President of Global Solution Sales, Enterprise BG in 2011 and formerly the VP of pre-sales in Southern Pacific region since 2008. He served as Asia Pacific fixed network pre-sales director in 2006. In 2002-2005, he was the global access solution director, leading the pre-sales team in successfully breakthrough European market. He started his career in 1998 as broadband network senior R&D engineer in Huawei. Mr. He received his Degree in Ha Er Bin Industry University, China.